Empire acquired a 70% interest in the Fox Creek Lithium Project located in Fox Creek Alberta. In addition Empire acquired an additional 100% interest in the Well Permit which is strategically located within the boundaries of, and contiguous to, Empires Fox Creek Lithium Project. Empire has amassed a total of 764,000 acres (309,000 hectares) in 37 industrial permits, giving Empire the right to extract lithium, potassium, boron, bromine, magnesium, and other important valuable elements from lithium and potassium enriched brines. The Well Permit acquisition essentially complete Empires coverage of the entire Beaverhill Lake Brine aquifer system, which is hosted within the Devonian–aged Beaverhill Lake carbonate reef complex. 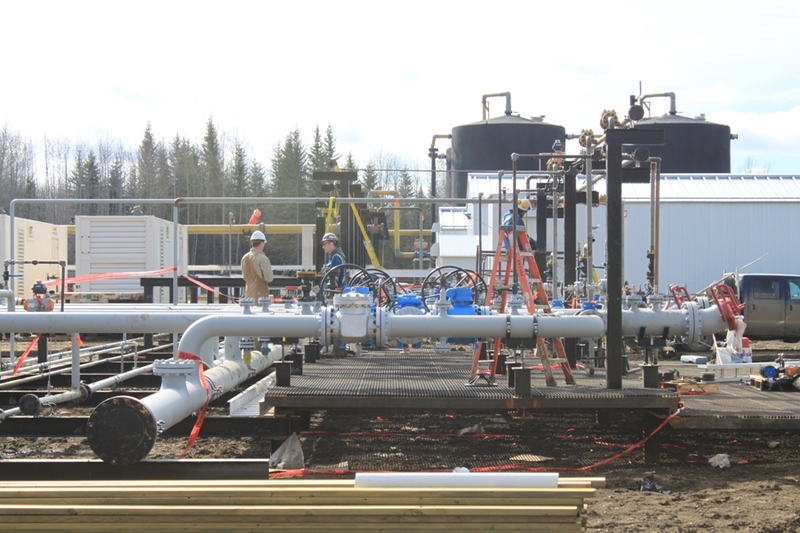 The saline formation waters (“Brine”) of the Beaverhill Lake Brine aquifer system are currently being recovered with the commerical production of petroleum products, mostly gas and condensate, from producing wells at Fox Creek. This is where lithium and potassium enriched brine is treated to separate and extract from the petroleum products that are then injected back into the subsurface formations as a product. The Beaverhill Lake Brine contains elevated and potentially economic concentrates of: lithium (Li), potassium (K), boron (B), bromine (Br), calcium (Ca), magnesium (Mg), and sodium (Na). Previous testing of the Beaverhill Lake Brine by Hazen Research Inc. indicated significant amounts of these desired elements can be extracted, up to 98 % for lithium, 88% for bromine, 100% for boron, and 40% for potassium. Just a single Empire industrial permit – the Well Permit, has more than 100 existing wells, numerous pipelines, collection infrastructure, petroleum production batteries and the Kabob South petroleum processing plant, located within the Well Permit boundaries. Empires is very pleased to also announced the appointment of Dr. John Burba to the Fox Creek Lithium Brine Project, a pioneer and world authority on lithium brine processes, to lead Empires Technical Advisory Team, on the Fox Creek Lithium Brine Project. Dr. Burba was formally at FMC Corp. were he developed a proprietary lithium extraction process producing low cost, high–purity lithium product from brines previously considered to be too high in “contaminants” (including magnesium) to be economically processed. Empire believes Fox Creek constitutes an important and significant commercial opportunity for the production of lithium carbonate, and hopes to supply lithium and other green energy metals, as the world insatiably consumes them into the future. The saline waters (“Brine”) of the Beaverhill Lake Brine aquifer system are currently being recovered with the commercial production of petroleum products, mostly gas and condensate, are currently being recovered with the commercial production of petroleum products from producing petroleum wells at Fox Creek, were lithium and potassium enriched brine is treated to separate and extract petroleum products then injected back into subsurface formations as a product.